I'm very much in love with these little babies. 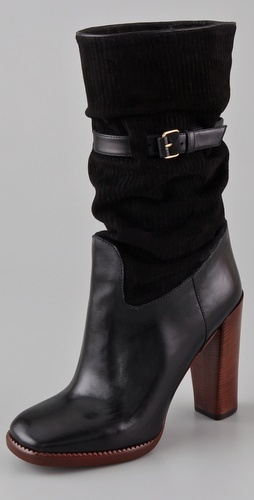 The wooden heel, leather, suede, and buckle all in one shoe = perfection. What boots are you eyeing this season? Adorable boots! There's so many I want to get! Oooh - these are lovely!! !